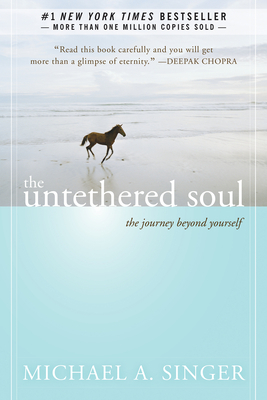 The Untethered Soul has already touched the lives of more than a million readers, and is available in a special hardcover gift edition with ribbon bookmark--the perfect gift for yourself, a loved one, or anyone who wants a keepsake edition of this remarkable book. Michael A. Singer is the author of the New York Times bestseller, The Untethered Soul, which has also been published in Turkey, Brazil (in Portuguese), Switzerland (in German), Spain, Japan, China, the Netherlands, Denmark, Finland, Poland, and Italy. Singer received a master's degree in economics from the University of Florida in 1971. During his doctoral work, he had a deep inner awakening and went into seclusion to focus on yoga and meditation. In 1975, he founded Temple of the Universe, a now long-established yoga and meditation center where people of any religion or set of beliefs can come together to experience inner peace. Through the years, Singer has made major contributions in the areas of business, the arts, education, healthcare, and environmental protection. He previously authored two books on the integration of Eastern and Western philosophy: The Search for Truth and Three Essays on Universal Law: Karma, Will and Love. Visit www.untetheredsoul.com for more information.